Growing number of scholars have noted that racism may thrive and persevere in explicit, blatant forms in the online context. Little research exists on the nature of racism on the Internet. In contributing to this emerging yet understudied issue, the current study conducted an inductive thematic analysis to examine people's attitude toward (a) how the Internet has influenced racism, and (b) how people may experience racism on the Internet. The themes represented in this paper show that the increased anonymity and greater accessibility of the Internet gave platform and identity protection for expressions and aggregation of racist attitudes. Some of the themes explicated positive influences in which people were also able to express and form anti-racist online movements, and confront racist users by taking advantage of the increased anonymity. In terms of how racism was experienced on the Internet, the author identified the following themes: vicarious observation, racist humor, negative racial stereotyping, racist online media, and racist online hate groups. Implications for future research on racism on Internet is discussed. With the advent of the Internet, growing number of scholars have noted that racism may thrive and persevere in explicit, blatant forms in the online context (Daniels, 2009; Hughey & Daniels, 2013; Lewis, Cogburn, & Williams, 2015). In 2012, a website titled “The Geography of Hate” was launched to track and document the sources and prevalence of hate and racist messages disseminated through Twitter, a universal social networking platform that enabled people to share short messages to the online community (Stephens, 2013). A year later, the website displayed the results via a color-coded map of the United States (U.S.) depicting the geographical sources and prevalence of over 150,000 accounts of racist messages publicly available. As people generally use Twitter to provide instant real-time updates related to what they are doing or thinking, many of these racist tweets provided a window into people’s unspoken racist beliefs (Picca & Feagin, 2007). This is one of the many examples of how racism has extensively penetrated the experiences in the cyberspace (e.g., social media, online forums). Despite the common and explicit nature, to date online racism has received little attention in the empirical literature. The dearth of knowledge is surprising given the popularized influences of the Internet in everyday behaviors and attitudes (Raacke & Bonds-Raacke, 2008). More than half of the world’s Internet users now go online for social interaction (Berkman, 2013). Nearly 73% of all Internet users in the U.S. are connected everyday with higher rates of usage observed among racial minority groups such as African Americans and Hispanics (PEW, 2014). 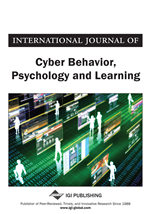 Studies in cyberbullying have begun to take note of online racism and scholars have addressed the need for research on this emerging area of racism (Lewis et al., 2015; Tynes, Giang, Williams, & Thompson, 2008). In the past decade, racist content and messages have been commonly observed in online discussions on racially charged topics such as discrimination against American Indians and African American athletes (Chaudhry, 2015; Gerstenfield, Grant, & Chiang, 2003; Harrison, Tayman, Janson, & Connolly, 2010; Steinfeldt et al., 2010; Tynes, Reynolds, & Greenfield, 2004; Weaver, 2011). Racist jokes and hateful speeches in social media have become a staple example of racism on the Internet. These exchanges have been coined as “flaming” and “trolling” denoting online specific text-based insults among Internet users (Bomberger, 2004). “Flaming” has been used to characterize the nature of heated, hostile online insults that involve quick successions of back and forth exchanges. “Trolling” refers to involvement in online social platforms with the intention of deliberately starting arguments and upsetting people by posting inflammatory content. Despite the growing attention, little information exists on how racism is experienced and regarded by users on the Internet. In studying this emerging issue, we conducted a qualitative inquiry to explore (a) people's attitudes towards how the Internet has influenced racism, and (b) characteristics of commonly experienced racism on the Internet.